Life with an undiagnosed condition: what does it really mean? The 29th of April is the 4th nationwide annual Undiagnosed Children’s Day. It is organised by SWAN UK (Syndromes Without A Name) – an initiative of the charity Genetic Alliance UK offering support and information to families of children with undiagnosed conditions. 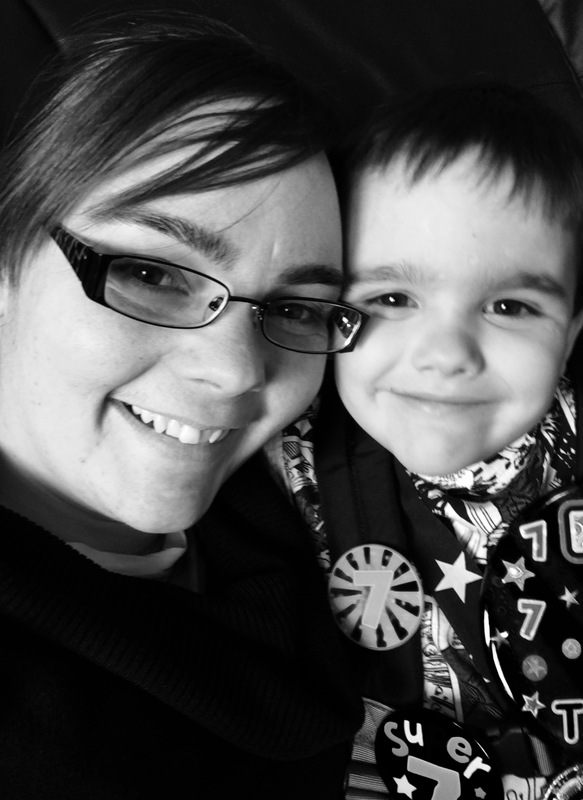 Today, we are talking to Claire Walton about what living with an undiagnosed condition means in practice. Claire and Rowan (photo from Claire’s archive). 1) Could you please introduce yourself and tell us bit about the background? 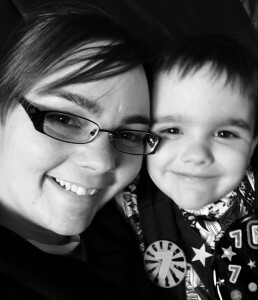 Hi, I am Claire, single mum of 4 children, and we live in Northamptonshire. My daughter is 13, and I have 3 sons aged 10, 8 and 7. All three of my sons have undiagnosed genetic conditions. It is thought that they all have the same ‘thing’ but as yet we do not know what ‘it’ is. They have an array of challenges and issues, including hypoglycaemia, hypothyroidism, possible hypothalamic disorder, growth hormone deficiency, calorie handling issues, GORD, colonic dysmotility, hypermobility with chronic pain, fatigue, hearing issues, developmental delay, speech delay, educational challenges and previous severe failure to thrive, coeliac disease, and other food intolerances. Rowan has an inability to feed ‘normally’, and is therefore reliant on Parenteral Nutrition (Intravenously fed), with additional Jejunal (small bowel) feeds for 4-5 hours a day, and his gastrostomy (tube in his tummy) on free drainage (draining anything in his stomach out) He is the size of an average 3.5 year old currently, at the age 7. Rowan’s Undiagnosed Genetic Condition has a great impact on not only Rowan’s life, but the family’s too. He has over 30 doses of medication a day, 30 minutes a day of physio exercises. I spend up to 2 hours a day setting up Rowan’s TPN using ANTT, and IV medications, setting up his jejunal feeds using a pump, regular blood sugar checks, cooking suitable foods, ensuring no contamination and then puréeing it, emptying drainage bags, washing endless amounts of clothing and bedding due to accidents, leakages and spillages of bodily fluids, implementing many pain techniques in all environments, monitoring Rowan’s temperature and general condition for any sign of infection. Rowan also only attends part time school due to his fatigue, and still has a day time nap some days, which means he currently only accesses English and Maths at school. Rowan is also a part time wheelchair user due to his pain and fatigue. His condition is very variable and changeable, any sign of a temperature and we find ourselves occupying a cubicle in our local hospital. 2) How did it all start and where did your (medical) journey begin? With Rowan, our medical journey began at our routine 6 week check. Having had Cameron and Ayden already go through the hospital process, with their complexities (hearing issues, food allergies and intolerances, developmental delays etc) we were already on the radar of the hospital. However, when we took Rowan to his 6 week check, it was noted that he hadn’t gained any weight since his birth, and had a total lack of interest in feeding, whether it was bottle or breast feeding, and when he finally did feed, he vomited most of it back up, this was unlike the issues I had had with Cameron and Ayden, who only showed problems once we started weaning at 5-6 months old. From there we were admitted to our local hospital, to monitor his feeding, and begin our journey of testing. His milk was changed, and a routine was established but it was to no avail, he didn’t put any weight on. There was a barrage of xrays, ultra sounds, lumbar punctures, blood tests, MRI scans and heart monitoring. This was when we first began tube feeding Rowan into his stomach through a Nasogastric tube, this then went to a Nasojejunal tube. Rowan then had surgery to put a tube in his jejunum (small bowel) and he was fed through a pump. Again, none of this worked, and at 18 months old, he weighed just 9lb 12oz, was unable to walk or talk, and was too weak to even sit up most days. This is when we discovered Rowan’s thyroid was underactive, his growth hormone levels weren’t right, his blood sugars were constantly low, and his body was in a permanent starvation state. Rowan was then admitted to Great Ormond Street Hospital where a central line was placed, and we started Total Parenteral Nutrition, along with a variety of medications and therapies. Once Rowan was in a better position nutritionally, we continued testing. 3) What is the main thing that you would like people to understand about living without a diagnosis? What message would you like to share with the world? I would like people to know that not having a diagnosis, does not mean that there isn’t a problem, nor does it mean children’s issues are insignificant. It also doesn’t mean that doctors aren’t looking hard enough, nor that we are just waiting for the next test. This is a way of life for us, we may never get a diagnosis. One of the most difficult things we have faced, with being undiagnosed, is a lack of access to appropriate services. Despite the fact Rowan is a part time wheelchair user, has high risk treatment plans, spends a lot of time in both GOSH and our local hospital regularly, has numerous appointments each week, over 12 medications multiple times a day, numerous physio exercises to complete daily, as well as a host of other things, we did not meet the criteria for ‘disabled children’s services’. The process is diagnosis-focussed, I couldn’t fill in a box with his diagnosis as he didn’t have one, and therefore we automatically did not meet the criteria. This left me alone, exhausted, frustrated, upset and unsupported. It felt like we didn’t matter to anyone, until I found SWAN UK that is. 4) Do you participate in any research projects that aim to help diagnose Rowan’s condition? If yes, what is your attitude towards sharing data (e.g. DNA sequencing data) with researchers? As a family we have partaken in a number different studies. Both Rowan’s gastroenterology team, and his endocrinology team regularly take blood from the whole family to test the genetics, especially when new targeted research in these fields appears, as well as taking biopsies for research purposes while undergoing other testing. I enquired about the DDD study and was informed that we did not meet the criteria for this particular study, although I am very keen for us to be on the 100,000 genomes study. Being a single parent, the testing is often more complicated, with only ½ the genetic information. Whilst I am now comfortable remaining undiagnosed, there are future focussed questions that are left unanswered, such as ‘is his condition degenerative, does it affect his life expectancy, is he, or any of his siblings, likely to pass this on to their children’. When it comes to sharing data, I am of the opinion that unless we share all the information we can find, whether it’s anonymous or not, things will struggle to move forwards in terms of diagnosis and treatments for future generations. The answers that may be uncovered are unlikely to change things for Rowan, most of our medical team are fantastic, and we treat the symptoms as they appear, however it’s taken a long time, a lot of battles, a lot of tears, and a lot of invasive testing for Rowan, and I know many people who are not in this position. Information we discover about Rowan’s genetics, may help someone else get the interventions they need much earlier on, and uncover new treatments, so that there is less of an impact on their lives, and potentially reduce the amount of invasive testing required. 5) We noticed that you are active on social media. Could you please tell us more about this activity and how it helps you on your journey? I am very active on social media. It came about slowly, initially I started off with a private group on facebook for Rowan, to update family and friends on the things we went through each day, to save having to send a lot of messages, and phonecalls. I found it made life much more bearable, especially during long hospital admissions, with having a singular line of communication. As our journey progressed, and we became more familiar with Rowan’s needs, medications, therapies and treatments, my thoughts turned to other parents and families, with their children. This was when I decided to start a public page for Rowan, so that the world could see the amazing achievements Rowan has made, and to raise awareness about living without a diagnosis, with a child with complex physical needs. I am a proactive parent, and want to show the world what can be achieved, both despite and because of, Rowan’s needs, whether it’s sharing an extra curricular club or event he atteneds, or the results from a recent hospital appointment, new equipment we discover, or a new support network. Many parents have contacted me subsequently, with children with similar complexities to Rowan to ask how we have done things, the process we went through, the right words to use, the right support to access. Equally, I see other families, and ask their advice. I also have a blog, which I kept separate from Rowan’s social media for a while, it gave me the opportunity to write about how things were in more detail, from my perspective. I was able to share more of my thoughts and feelings as a person, not just as Rowan’s Mummy. It is my outlet. One of the biggest discoveries I have had using social media, is finding SWAN UK, becoming involved in the community of over 1000 other families with undiagnosed conditions and having a safe place to ask questions, vent frustrations, celebrate the achievements, and obtain support through the rough times. Whether it’s posting a question at 2am, or meeting up with other SWAN UK families at a theme park, the feeling of isolation is less apparent. I have been supported so well, and SWAN UK has become such an important part of our lives, that I have become a Local Parent Representative for SWAN UK, and my main aim is to help other families find SWAN UK, and share in the support and community that I have benefited so greatly from. When sharing data, the most important thing for me is anonymity, and protecting the identity of my children. I also feel it is imperative that the wishes of the individual are upheld and respected, and that explanations of exactly what the sample will be used for are transparent, without any hidden loopholes or agenda. I don’t have many restrictions personally when it comes to research, but I do like to know exactly what they are being used for, and read the ‘small print’ of each study before I make a decision either way, and confidentiality is paramount at every stage. I also think, when it comes to children, that an explanation for them, where appropriate is important, and their wishes are also considered and respected. Children who spend a lot of time in hospital are far more aware than they are given credit for, and have an opinion of their own from a very young age, and yet in my experience, despite it being Rowan’s samples, he isn’t consulted when it comes to research, many say ‘well he is only young’ but he does have an opinion, and does ask questions. If you would like to support Claire and Rowan directly, please have a look at their recent campaign. Here you can learn more about the work of SWAN UK. Write to us at info@dnadigest.org or use our contact page to get in touch.